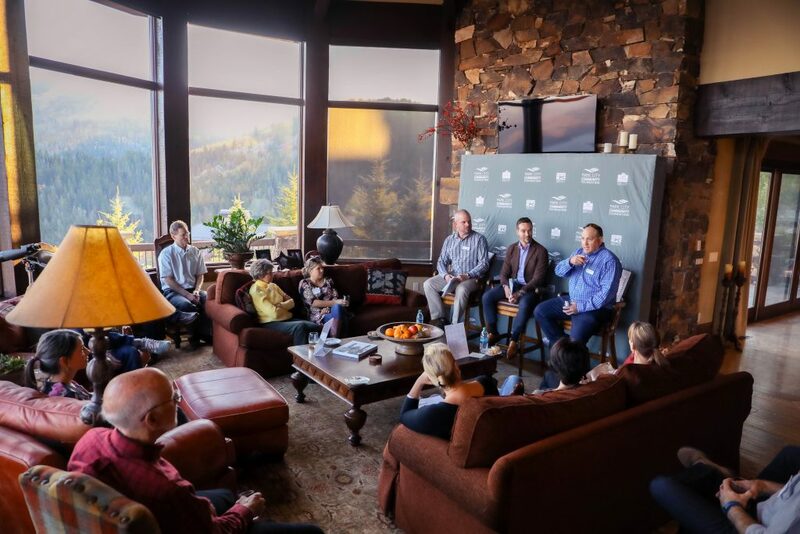 On October 12th, the Crest Speaker Series enjoyed a conversation on raising philanthropic children led by Chad Bolick of Morgan Stanley, and Live PC Give PC co-chairs Mike Ruzek and Bill Rock. The event was hosted at Tom and Pat Grossman’s home in Deer Crest. As an extremely blessed community, many of our donors are concerned on how to raise children (and teach their adult children) to be stewards of this place that they love. As we enter into our most giving season, we want to open a dialogue about this sensitive subject. Chad Bolick guided a discussion on giving your values and leading by example. This discussion was followed by Mike Ruzek and Bill Rock who will shared how they have navigated this terrain with their own children. Chad shared the white paper: How to Make Philanthropy a Family Affair which you can download below. Chad provides customized philanthropic advisory services to individuals, families, and family offices, as well as nonprofit, foundation, and institutional clients. Chad brings 15 years of experience in management consulting, corporate philanthropy, international development, and nonprofit fundraising to Private Wealth Management at Morgan Stanley. As organizer of Live PC Give PC, Park City Community Foundation builds broad engagement and diverse support to create wide community impact, and helps get financial support to the nonprofits that make our community a better place. The signature Crest Speaker Series is open to Pinnacle, Apex, Summit, and Crest level donors, as well as special invited guests. If you would like to learn more about becoming a Crest level donor, please email Sam at sam@parkcitycf.org.